Our passionate team puts customer interest first. 24/7 after hours technical support is also part of our normal service value. Columbia/Okura maintains a team of experienced field service technicians and engineers available to travel to our customer sites, offering services customized to a clients specific needs. Our technicians maintain the highest level of technical skills through continuous vendor training, technical bulletins and in-house training. 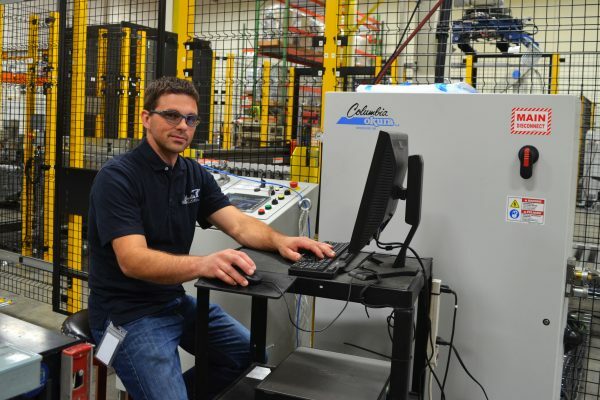 Our entire team is well versed in system mechanics, including PLC programming and our pattern building software. We can also provide remote technical support by phone or through online computer support. Remote monitoring and diagnostic services are also available. Technical support is available 24 hours a day, seven days a week, to provide the assistance our customers require. 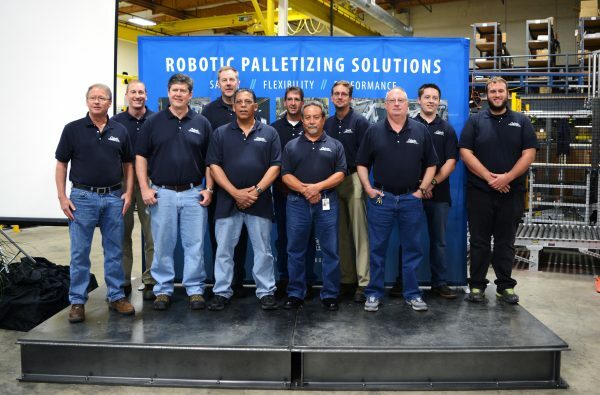 Our technicians are strategically located around the United States, in every time zone, to be close to our customers. Our technicians are there with you during system startup, and site acceptance. We offer complete turnkey installation and commissioning. We can tailor the system commissioning activities to optimize value for you. As your company grows and requirements change, it may be necessary to modify your equipment to meet the new challenges you face. 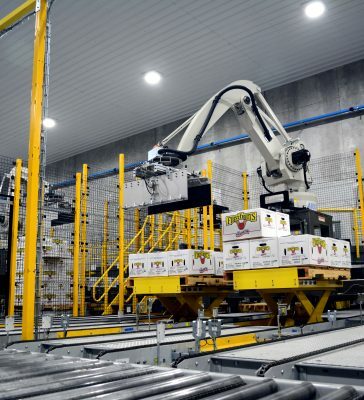 A new product or package type, safety technology change, or increased production needs may require modifications to your palletizing system. We have a dedicated team to help with your retrofit needs. Contact us to learn more. 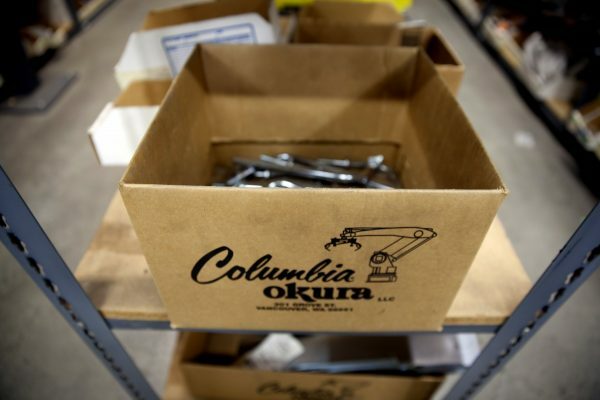 Columbia/Okura provides superior parts support. Parts support is available 24/7 to address critical down time situations. 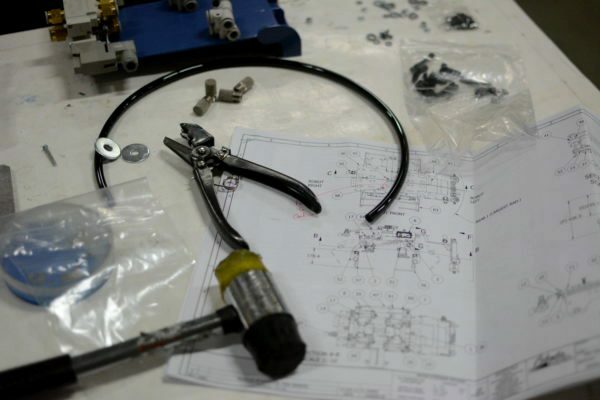 We maintain a parts warehouse of OEM factory parts to meet your systems needs. We are able to supply most parts within 24 hours, throughout North America. 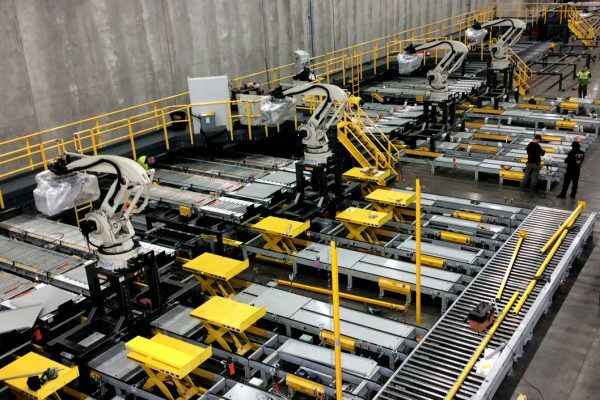 We have expanded our customer service program to include a state-of-the-art facility designed specifically for training, testing and palletizing demonstrations. We can come to your site, or you can schedule a extended training in our training facility. 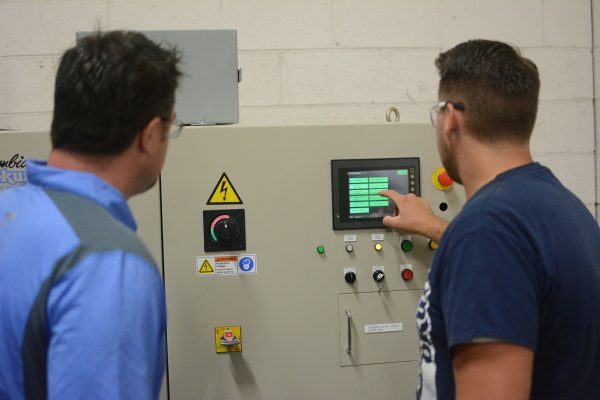 Keep your plant operating at peak performance by training your operators and maintenance personnel to solve operational issues as they arise. We offer an array of state-of-the-art training options. Utilize an on-site Columbia/Okura trainer and learn through hands-on training. Formal classroom training with a PMMI Certified trainer is also available. Let us keep your systems in tip top shape. Checking on the equipment while it is still running is much better than waiting for an unexpected breakdown.